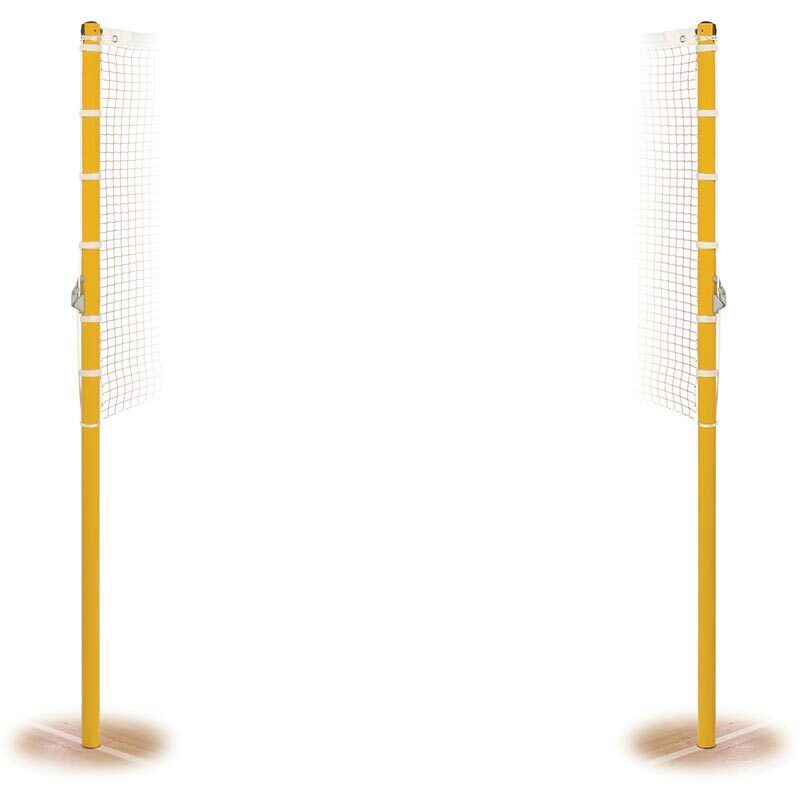 The Harrod Sport ® Competition Badminton Posts are recommended by Badminton England for use in their centres of excellence and the ideal option for International tournaments. 1.55m high upright made from 40mm diameter x 5mm thick steel. Easy to use quick release clam cleats allow exact net height to be achieved for competition use. Individual hook and loop net ties ensure net is held firmly to the uprights as per BS EN 1509. Uprights are polyester powder coated yellow. Iron phosphate coating used to help protect posts against the elements. Proper maintenance is still required to prolong the life of the posts. Complete with zinc plated steel sockets and flush fitting drop-in lids. Uprights do not protrude into the court area. Lost the instructions for your Harrod Sport ® Socketed Competition Badminton Posts? Please Click Here to download a new copy.